Out Of The Comics, Into Reality: Jet Pack Moves Closer To Market : All Tech Considered A New Zealand-based aviation company has been granted permission to conduct piloted tests of the one-person flying machine. It plans to have the jet pack on the market in 2014. Standing on the center console of the Martin Jetpack, a pilot straps in and uses the joysticks to control flight. From Buck Rogers to James Bond, we all have a pretty concrete mental image of a jet pack — a motorized backpack with little handles in front and smoke shooting out of the back. The New Zealand-based Martin Aircraft Co. doesn't just think it's turned the jet pack of your imagination into a reality. It thinks it's made something better. "The ones that you've seen previously in history seem to have a very limited time of endurance," CEO Peter Coker tells NPR's Don Gonyea. "We wanted something that you could actually use on the day-to-day basis." The company plans to put the jet pack on the industrial market next year. The structure consists of an engine and two ducts — those wing-like structures coming out of the side — and a pilot console. The pilot can stand on the console, strap in and use joystick-style controls to fly around. 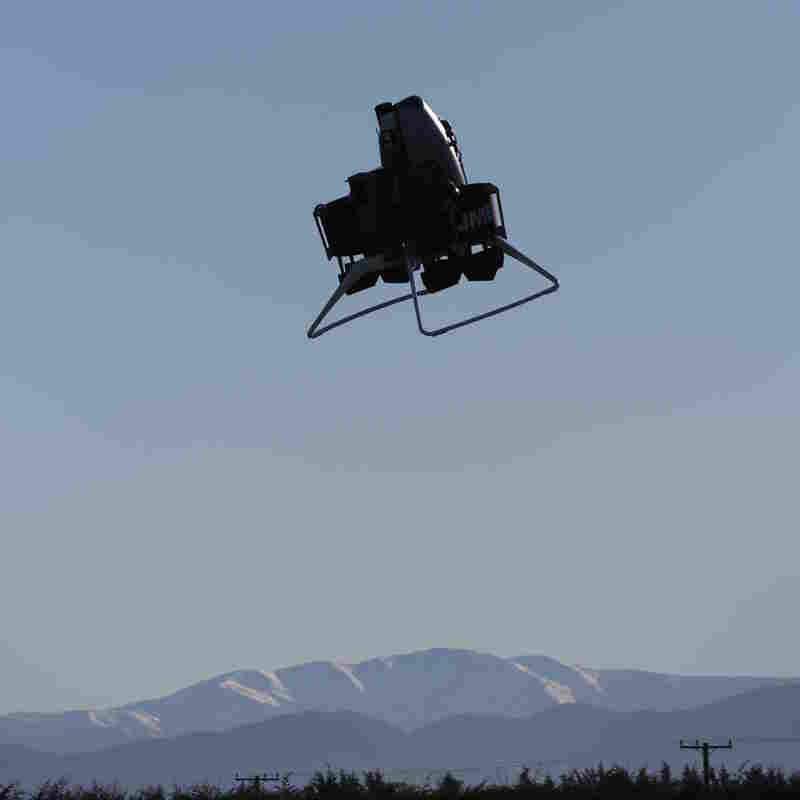 Last week, New Zealand's Civil Aviation Authority granted the company permission to conduct piloted tests of the one-person flying machine. Before this, most tests have been done with dummies via remote control. The origins of the project go all the way back to 1984, when inventor Glenn Martin began tinkering with the idea in his garage. He started Martin Aircraft 20 years later, and he's been working with a team of engineers to perfect the flying machine ever since. A dozen prototypes later, the jet pack can travel almost a mile high. "We reckon it can probably move about 8,000 feet, but we don't think many people will want to go much higher than that, particularly when they're strapped into this machine," Coker says. He says it took some time for people to believe that the machine could really fly that high: "There was a perception amongst the public and certain aviators — a skeptical perception — that actually this thing doesn't get above what we call ground effect, i.e. a couple of feet." During this test flight, a helicopter tagged along to show just how high the jet pack can go. The company's first jet pack will be on the market in 2014 and will be targeted to first-responders, who could benefit from being able to cut through traffic and to have an aerial view. Martin Aircraft has gotten a lot of interest from fire services around the globe, as well as search-and-rescue, border patrol and bridge inspection teams. Since the machine can be flown unmanned, Coker says, there's also been tremendous interest from military institutions worldwide. "What is really fantastic is taking something out of the comic books and actually using it in a practical world," he says. "This will change the whole dynamics of aviation." 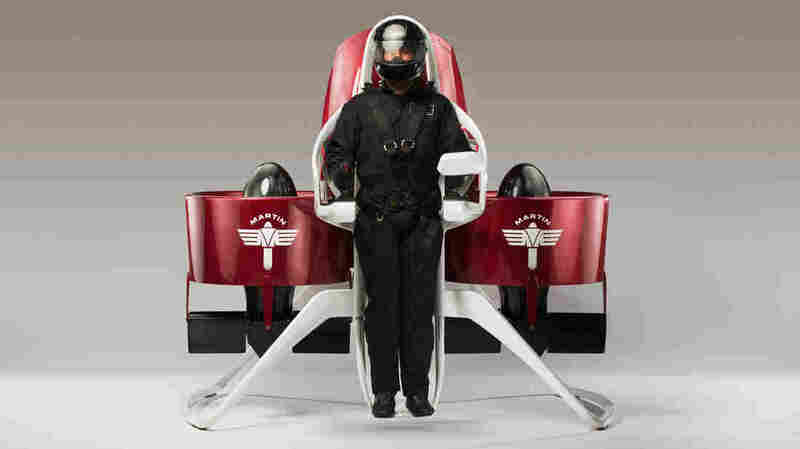 The company hopes to put a more basic jet pack for recreational use on the market in 2015. The machine is registered under New Zealand's Civil Aviation Authority, so flying one would require an ultralight or microlight license — the same thing needed to pilot a powered hang glider and some hot air balloons. And in case you were wondering, the engine is gasoline powered. As Coker says, "You could stop at a garage and fill it up." The cost is only a ballpark estimate at this stage, but the anticipated price of a military model — which would have more sophisticated communication features — is around $250,000. For the individual and commercial sector, the projected cost is about $150,000 to $175,000.